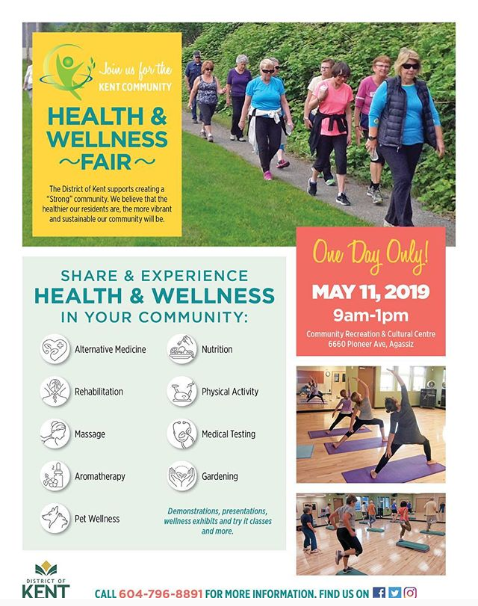 Kent/Agassiz/Harrison – Mark your calendars for the Kent Community Health and Wellness Fair on May 11. Featuring Dr. Wayne Phimister, Flaman Fitness, Sage Wellness, Kids Active Zone, Nutrition and Wellness talks and the annual Walk with your Doc (YES, your doctor)! Follow along on social media to learn more about this amazing community event. That link is here. 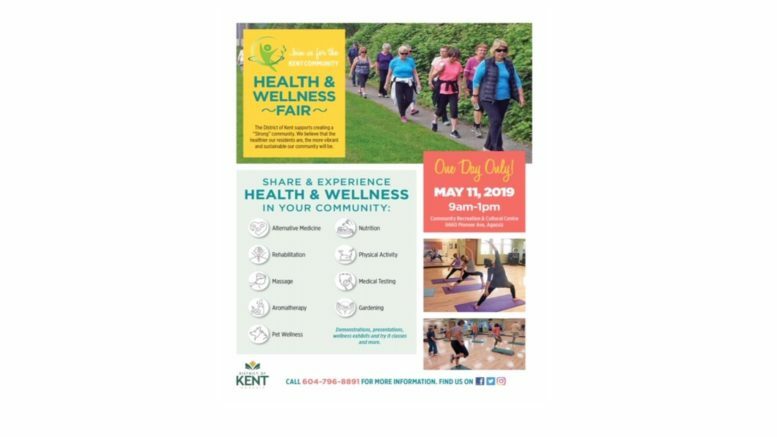 Be the first to comment on "2019 Kent Health and Wellness Fair – May 11"